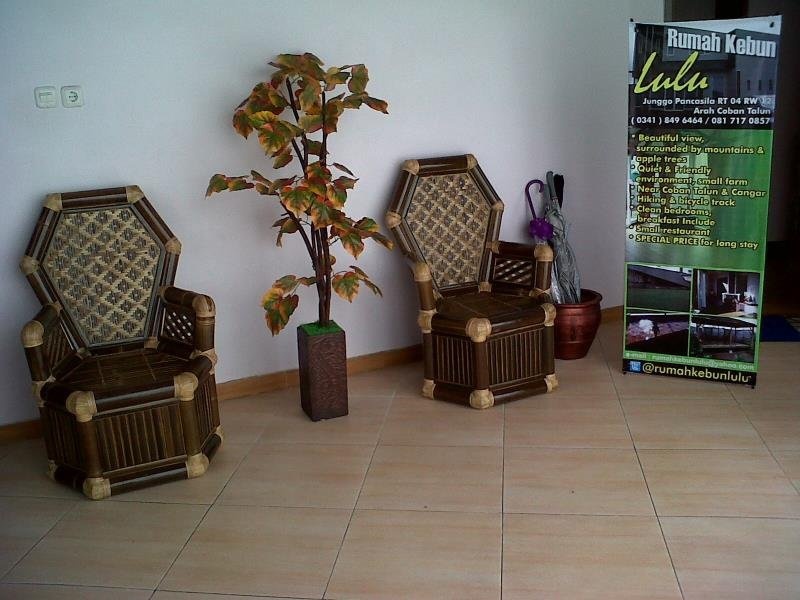 Rumah Kebun Lulu Villa is conveniently located in the popular Batu area. Featuring a complete list of amenities, guests will find their stay at the property a comfortable one. To be found at the hotel are 24-hour room service, free Wi-Fi in all rooms, daily housekeeping, express check-in/check-out, Wi-Fi in public areas. Each guestroom is elegantly furnished and equipped with handy amenities. Access to the hotel's massage, pool (kids), garden will further enhance your satisfying stay. A welcoming atmosphere and excellent service are what you can expect during your stay at Rumah Kebun Lulu Villa.